Jim Kacian: You came to haiku in the late 1950s, when there was a flowering of interest in the genre coming from several directions. But you took the unusual step of creating your own imprint, Chant Press, to make your work available. How much of this was a product of the burgeoning of small press at the time, and your personal involvement in editing/publishing? What were your goals for the press? How did the press succeed in realizing them? And how would you compare that experience with self-publication as it has emerged over the past 6 decades? Cor van den Heuvel: I began Chant Press sometime in the latter part of 1960, putting 1961 on the copyright notice of the first book, sun in skull, because I understood that that way, during the following year, the book would sell better if it seemed to be “hot off the press.” This was before I started working at Newsweek in the Makeup Department (making up the page layouts and fitting stories into them). I was then living at 40 West 12th Street in Greenwich Village, an old townhouse that had been converted into a rooming house. My younger brother, Dirk, was already living there. At some point he got me a temporary job at Dial Dictation in the Wall Street area. It was a dictation service where businessmen could dictate letters on the phone to stenographers in our office and have the completed letter delivered to them right away. At the time, the only experience I’d had with editing and publishing was as a copyboy for the Woman’s Home Companion magazine and as a cub-reporter (on the police beat) for the Concord Monitor, a newspaper in New Hampshire’s state capital. The first was a job I held in 1955 – 56, when I had taken a year off from the University of New Hampshire, between my junior and senior years, to live in New York City. I became a cub reporter in Concord in 1957, after I had graduated from the university. Both jobs lasted less than a year each. As a copyboy at the Companion, I learned about the slush-pile, a thing that exists in book publishing as well as at magazines. In fact I became the first reader of the fiction slush-pile. I was trusted to weed out the obviously awful of these unsolicited manuscripts and pick out only those that I thought good enough to be seen by the fiction editor. While not engaged in this part of my job, which also involved less interesting chores such as being a go-fer and a delivery boy, I actually had a chance to chat with my fellow copyboy about literature. We were both fans of J. D. Salinger and enjoyed discussing that writer’s latest contributions to the New Yorker Magazine. At that time I knew I wanted to be a writer, but the kind of writing I was trying to write was short fiction. I was interested in such diverse writers as science fiction’s Ray Bradbury, fantasy writer John Collier, Jack London, Irwin Shaw, Thomas Wolfe, and Dostoevsky, but I wasn’t sure what kind of fiction I wanted to do. It was a short story about football by Irwin Shaw, along with Keats’ “On Looking into Chapman’s Homer,” that had helped me decide at the end of my freshman year to change my major from Science to Literature. Self-publishing was far from my mind. Any publication of a book by me was a dream far in the future. My job, however, intensified my desire to get published in magazines; not literary or poetry mags, but in “slick” magazines like The Saturday Evening Post, Colliers, and The New Yorker. But I don’t think I ever completed a short story, so I never even gave myself a chance to get rejected, never mind published. When not working at the Companion, I was able to engage in cultural activities in the City that, despite the short time involved, helped broaden my awareness of important literary, art, and musical developments as they were reflected in whatever was going on there. I began to read the works of Samuel Beckett after I had been captivated by seeing Waiting for Godot starring Bert Lahr in its first US production. I became interested in the works of other playwrights as well, and remember getting the collections of plays from around the world edited by Eric Bentley. I became interested in avant-garde music after hearing a concert of the works of Edgar Varèse, which branched out for me to an interest in Stravinsky, Bartok, and, veering later in a different direction, to the music of Delius, Ravel, and Debussy. And from a visit to the Metropolitan Museum, what became a life-long interest, I fell in love with Japanese woodblock prints. This, while still ignorant about haiku. I acquired some beautiful reproductions from the Met and in my small studio apartment on Riverside Drive I had Harunobu’s “Girl with a Lantern” (she’s viewing a blossoming cherry tree at night) on the wall. Also Hokusai’s “Great Wave”. Years later I would give the framed “Great Wave” as a gift to Lilli Tanzer, the Founding Editor of Frogpond when she moved from Fishkill further upstate. I’ve always thought Lilli never got enough recognition for the initiative and hard work she put into creating Frogpond. I know how much she did, because I was president of HSA that year, 1978. My job as a reporter in 1957 (still before San Francisco and my encounter with haiku) was important as it gave me the experience of having to write on a regular basis and to deadlines. Besides covering the criminal court I was assigned to write special interest stories for weekend editions of the paper. I remember doing long pieces on such subjects as the history of the Concord coaches of the 19th century, which were built right there in Concord and can still be seen in Western movies; another recounted a night riding with a State Policeman on patrol; and still another was a description of summer events taking place at a local park, for which, I remember, I first encountered and used the word “pergola.” This kind of writing, besides teaching me to write to order, also introduced me to the fact that a newspaper writer was not only not allowed to write the headlines to his own stories, but was often denied the chance to write the subheads, the small, bold, usually one-line headlines that mark breaks in the story. These also were written by the editors. 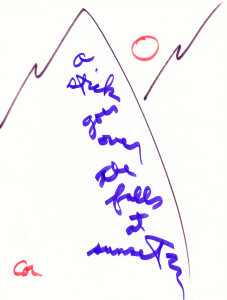 Some were similar to a short one-line haiku in appearance, sometimes holding an image that would characterize the subject to be covered in the following paragraphs. I wanted to write my own for my own stories. I’ve often thought my envy of the editors being allowed this privilege may have lent a subconscious added attraction to my later love of, and desire to write, haiku. But of course, at that time, after four years of college and three in the Air Force (between my freshman and sophomore years), two of which I spent on the Japanese island of Okinawa, I knew basically nothing about haiku. If someone had asked me I might have been able to say it was some kind of poetry from Japan that had influenced Ezra Pound and the Imagist poets, but little more. That was all about to change for I was soon to encounter the second issue of the Evergreen Review at a newsstand in downtown Concord, which would send me off to the poetry renaissance in San Francisco early in 1958. To get back to Chant Press, or to move forward to it: One reason I was able to start it was that my brother loaned me $100 to buy a small Excelsior hand-press, with a six by eight-inch chase and a font of type, which I used for all the Chant Press books except the last one, a series of haibun called Puddles, which I did on a computer. I was aware of poets self-publishing their chapbooks (and small magazines) in 1960: I met some at the Tenth Street Coffee House, where I read my poetry. 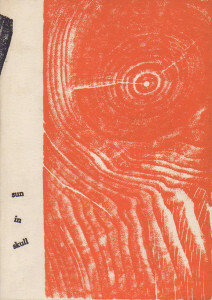 And by that time the bookstores I had frequented, in Boston, San Francisco, and New York had numerous examples of self-published chapbooks of poetry. Besides contemporary poets, I knew that Walt Whitman had first published Leaves of Grass by himself and a few other famous poets of the past had also self-published. So there were forerunners to encourage me. My goals? I wanted people to be able to read my work, and if I could sell enough copies, or if a copy got into the right hands, it might lead to an important publishing house taking an interest in my work. The Cornelia Street Bookstore in the West Village took a number of copies of my Chant Press books on consignment. It was well-known to contemporary poets both in New York and elsewhere. Though my books sold slowly there, enough moved to keep me happy. I also had copies in the Gotham Book Mart in mid-town. I never printed more than one or two hundred copies of each book, so I was not expecting to have a best-seller. I had no interest at that time in publishing anyone’s work but my own. I felt that I was writing a new kind of poetry. The press would be devoted to it. None of the other poets I had met by that time were influenced by haiku, not at the Tenth Street, nor in Boston . . . or in San Francisco, except for Gary Snyder. And I was not sure at that time whether his work would follow a haiku path or not. Now, I think it did not; though his poetry has certainly been influenced by haiku, and he has even published a few, it has moved elsewhere. I would not meet any real haiku poets until 1971, when I found the Haiku Society on 49th Street at Japan Society’s Japan House and met, among others, Anita Virgil, Bill Higginson, and Al Pizzarelli. Then I finally felt sure I too was writing something I could call haiku. Though I was calling them that when I started the press in 1960, I had seriously considered calling them something else. However nothing else really fit. I can’t remember being able to come up with anything else satisfactory. Though I do recall briefly considering the Latin word for “thisness.” It began with the same two letters as haiku and it’s first syllable had a similar sound: haecceitas (hike-chai-tes). I had gotten it from reading Gerard Manley Hopkins, one of my favorite poets, who used it to describe something he strived for in his poetry, the thisnesses of things and people. It would, of course, have been a ridiculously, unwieldy, and mystifying name for a poetry as plain and simple as what I was trying to write. My experience with the press was different in many ways from that of self-publishing today. It is much easier today, with all the advantages of computers and the internet, to publish your book yourself. And now publishing can be done even without books, without paper and ink. It can just exist in cyber-space. However, I still want my works to be in actual books. Also when I had the press, there was something exhilarating about physically creating the books myself. Added to the joy of writing the poems was that of making them become something you could hold in your hand and that was also good to look at. The press may not have accomplished all of the things I dreamed it would. But it did achieve some of them. It brought my work to the attention of others. After I entered the community of the Haiku Society, it wasn’t long until I received Merit Book Awards for several of my Chant Press books. An early rave review by Anita Virgil of three of them was very gratifying at the time and I still feel good when I think about it. And other reviews and different kinds of awards have followed. I could even look on the present interview as one of the results, in part, of the works produced by the press. Plus that early work, not only the writing of it, but also the designing and printing process, has surely helped me in creating my later works. Its long range effects hopefully continue. JK: You have indicated that you pursued your early interest in haiku largely in a vacuum, unaware that others were exploring the genre at the same time. You mention you found the beginnings of community with the Haiku Society and in the company of William Higginson, Anita Virgil, and Alan Pizzarelli. Can you speak to the value that community has brought to your haiku life? Would you have continued endlessly on your own, or was the discovery of like minds essential to a recommitment to the study of the genre? And you’ve seen what the haiku has become over the years: in what ways has this growth helped and/or harmed haiku (as opposed to poets)? CvdH: My contact with the Haiku Society was invaluable. If I had continued on my own with no feedback from fellow poets seeking ways to make haiku an important addition to English-language poetry I would have started going in circles and would certainly not have developed my craft to a place where I can feel I’ve accomplished something worthwhile in American poetry. The three names mentioned were my most important early influences, helping me to shape my work in the directions it has taken, perhaps Anita has had the most influence, both in the example of her own exceptional work and in her critical analysis of the work of others, including my own. Bill Higginson, often in ways that presented opinions and ideas that were in opposition to my own views, but which I think finally benefited us both as we adapted and found ways to reconcile our differences. I know he helped me to be a better poet. Pizzarelli’s genius has been a guiding light, teaching me that in exploring our own minds we can come up with startling new images that can spark us into creating our best works. The exchanges we had in the discussions that took place in the Society in those early days of the 70s and 80s provided a learning experience I could have had from nowhere else. One important long-term discussion, or debate, I had with Bill Higginson was about whether haiku was essentially a kind of descriptive poetry. I claimed it was and that American and English poets had a long history of refining the craft of descriptive writing to lean on when it came to their own literature and that it could combine with what we learned from the Japanese haiku and its descriptive aspects to create our own haiku. Bill claimed writing haiku was basically a naming process and was more simple than description. 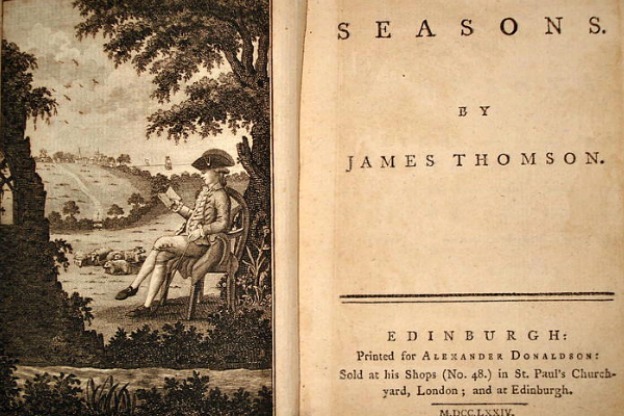 I had done my Master’s thesis at NYU in the mid-sixties on James Thomson’s The Seasons, written early in the 18th century, and felt it was a landmark in English literature, moving the focus away from the figurative language of the poetry and prose that preceded it to capture the essence and spirit of the world we live in by actually describing it. Inspired by the emerging language of description used by scientists and explorers before him, Thomson revolutionized the way we viewed our world through the lens of literature, especially in his move away from the personifications of the natural world of a poet like Michael Drayton, who apostrophized English rivers as if they were human beings. The process of refining description took a big step with the Romantics, especially in the work of John Keats, another favorite poet of mine. He was influenced by Thomson. It is said he sometimes carried a pocket edition of The Seasons around with him. Some of Keats’ own descriptions come close to the solidity (a sense of the physically real) and vividness of haiku. In “The Eve of St. Agnes” this happens for me in his description of the winter wind coming in the door so strongly as to lift the rugs from off the floor and in the scene where the moonlight shines through the stained glass window to light Agnes as she undresses for bed. Next after the Romantics, the Imagists readied the language for haiku by cleaning it up even further by calling for clarity, precision, and simplicity. The two words are flush left one under the other with one line of space between them. It could be described as a two-line haiku or a two-word haiku. Or a three-line if you count the line of space. One may say that a one-word haiku is naming, but one could add that it is the exception that proves the rule. All haiku are descriptions except one-word haiku. Many others contributed to the discussions at the Haiku Society as well as the three poets mentioned above. Some of the others were Alexis Rotella, Agnes Davidson, Edith Polster, Adele Kenney, Patricia Neubauer, though these, except for Davidson and Polster, came later. We all also in those early days wrote a lot of letters back and forth to each other. And phone calls. To and from some poets already named but also to several who were not able to come to the meetings, such as Nick Virgilio, who often called me from Camden early in the morning, and John Wills, who tended to call very late at night from Tennessee. Michael McClintock in California I kept in touch with by mail. Also some Canadian poets joined the discussions, particularly Rod Willmot. The growth of haiku here in this country and around the world has been, as you suggest in your question, both good and bad. Good because there are more chances of good haiku writers emerging from all these would-be practitioners of both haiku and its various related forms to bring haiku to further heights of excellence; and bad because too many bad poets, or poets who completely misunderstand the real value of haiku, will spread that misunderstanding and not only spoil it for others who might be taken in by them, but may mislead potential readers to get the idea haiku is only what these writers represent it to be and so fail to look at real haiku and miss an opportunity to enrich their lives. One of the problems is that it is not always easy for even seasoned practitioners of the genre to recognize which new developments that take place will end up making haiku better or not. One can examine them only as best one can and hope for the best. I have a feeling the growth and popularity haiku is experiencing will, in the long run, work to haiku’s advantage. 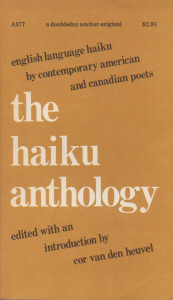 JK: Let’s turn to your role in haiku editing: in the introduction to the first edition of The Haiku Anthology (1974) you wrote: “A great diversity lies in the pages ahead. But though these poets are all moving along individual paths, they are all following the haiku ‘way’.” Can you describe in more detail the qualities of this haiku “way”? Do you continue to subscribe to this position some 40-plus years later? Which raises the broader question: what key characteristics make a poem a haiku? CvdH: For me a poem is a haiku if it is a one- to three-line poem with an ontological thrust that seems to put whatever is described in the poem actually before me. It’s almost as if I could knock on it as I might knock on my desk. The poem does so by providing a sensory key: a sound, a visual image, a smell, a taste, or a touch or a combination of any of these in such a way as to give me an emotional feeling of being one with it and with all of existence. For a good short definition of a haiku I don’t think we can do better than the Haiku Society’s original definition: a poem “recording the essence of a moment keenly perceived, in which Nature is linked to human nature.” This is actually presented as the definition of a Japanese haiku. The definition of an English-language haiku (or any haiku not Japanese) is given in the next entry as: (2) A foreign adaptation of (1). That leaves a lot for poets to play with — your idea of an adaptation may be quite different from mine. So I just take the first part as the definition of a haiku in any language. The Society recently revised its definitions and now uses the word “image” to characterize haiku. I voted against the revision. The first version was fine the way it was. It was originally created by Harold Henderson, William J. Higginson and Anita Virgil. I think that key phrase, “keenly perceived,” was originally coined by Michael McClintock. Higginson worked on the most recent revision with some others, but I feel he was probably the moving force in making the change. In some of his talks about haiku he often liked to use the word “image” and would point out how it was embedded in the word “imagination.” To me, the new definition seems to imply that English-language haiku is just an offshoot of Imagism. It is not, it is something new. If you take the word “Nature” in its broadest sense, it can be seen as representing all of Existence. In my attempt at a definition at the beginning of this answer, I used the word “existence” rather than Nature. I meant it to include Nature, of course, but I think haiku can include more than just what is commonly thought of as “the natural world.” It can also mean anything that is an extension of that world. This is both a sensory and imaginative experience that can only be called forth by the reader’s mind reacting to the words of the poem. As Blyth and others have pointed out, haiku is a poetry of the senses, but the senses that are awakened by the poem also spark the imagination, which will call up an image. Which Bill Higginson would have been glad to tell us about. I think it was also McClintock who once pointed out that a man’s house is as much a part of nature as a beaver’s lodge. You can extend that to anything man-made. I will try to give some samples of what I mean when I say Existence as well as Nature. If the poem depends on the reader relating to something in the “so-called” natural world, most haiku poets will go along with that. It’s those other parts of existence which pose problems for some poets. This poem by Ellen Compton is not presenting a star, it is presenting the sound of a toy. But along with that sound, a visual image of the toy and what we ordinarily view inside that toy, patterns created by mirrors and pieces of colored glass, will be called to mind. Echoing from the sound and the image we see, because of the mention of a real star, the image of a real star exploding somewhere far off in the universe. All this arising from how we view the kaleidoscope in the poem. Memories of childhood may also be invoked or just a general recalling of long ago experiences with such toys and a flush of nostalgia may mix with other emotions. This is actually a hybrid, being both a haiku and a senryu. Senryu because it shows us something about human nature, but also a haiku because it presents a sensory experience vividly. It is an image of something very ordinary, but it becomes almost ontologically present through the magic of the words chosen by the poet and so relates us to the real world of material existence. And so it also meets my criteria for haiku. It should also be pointed out that haiku is a poem of suggestion. Often the description does come close to naming, because haiku are so short. It suggests. As in this poem the words are enough to not only put a paper napkin in front of me, but aids me to actually visualize a pattern on it. It’s this kind of magic I love most about haiku. This is the kind of haiku that often are so simple, you can look right through the words to what the poem is about. I admit that there can be other kinds of haiku, and I can sometimes be led to admire them. They will appeal for more intellectual reasons, or for musical effects, or for other things poems in general can do. And I have included some in The Haiku Anthology. JK: In the third edition of The Haiku Anthology you do not include your famous poem “tundra” — why not? 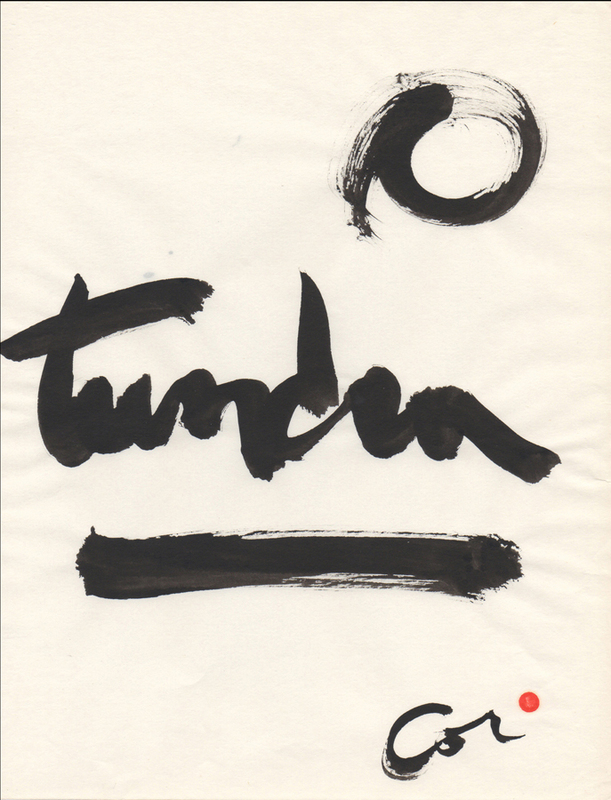 And related: if “tundra” is not it, what is the minimum amount of text necessary to make a poem a haiku? And to what extent can typographical elements determine such a thing (that is, how does organic form (if we may so term “tundra”) participate in creating the opportunity for a reader to encounter a poem with the special set of tools one brings to haiku)? CvdH: I felt it was becoming too much the poem that defined me, to the neglect of my other work. So I didn’t think it needed to be included again. There is something a little greedy of a poet who takes a single word from the language and sort of puts his or her brand on it. An interesting phenomenon once, I’m not sure if I were to try another one-worder it would not seem unseemly. I think someone has already published a shorter word as a haiku. The word “shark” on white space is only one syllable, whereas tundra has two. I’m not sure, but I think it was “written” and published by Alexis Rotella. Of course, many of us can think of single words that might work, and it’s largely by chance who gets to publish it first. I think a shark swimming around alone on a page makes a very effective haiku. The k at the end sticks up like the shark’s tell-tale fin cutting through the surface of the water. And the sound of the word is sharp and cutting like the fish itself. Whoever got it down first deserves credit, perhaps Charlie Trumbull could tell us by finding it in his catalog of haiku. Also, I think the word could vividly call up the vastness of the sea as well as the shark as it rides on the wave of a page, and that in turn could provide a horizon and perhaps a cloudscape above that . . . tinted by a setting sun. The best haiku are all about suggestion. I think someone also published island as a one-word haiku. And I’m pretty sure there have been a few other good ones. I just recently saw mention of a magazine or perhaps it was a book — devoted to just one-word haiku. I haven’t investigated it yet. And I’m not sure now where online I saw the reference. JK: You’ve long advocated haiku beyond the confines of the haiku community. For instance, in your letters to Bly (1973 – 74), you passionately defend “the barest simplicity of words and image” and advocate for the removal of the poet’s need to “transform” through the use of language. You argue that this simplicity of language is what creates an “ontological thrust” in haiku. Later, in the introduction to the third edition of The Haiku Anthology (1999) you wrote “When I first read Alan Watts’ characterization of haiku as “the wordless poem”, I thought it was because a haiku had so few words, but now I believe it goes deeper than that (whether Watts intended it to do so or not). Haiku, for the reader, is wordless because those few words are invisible. We as readers look right through them. There is nothing between us and the moment.” Have your ideas about how language and literary device is used in haiku changed in light of the more recent scholarship about pre-modern haiku which has explicated their use of literary allusion and other poetic techniques popular at the time, complicating some of our earlier assumptions about the supposed simplicity of many of the poems of this period? I think he felt that in not mentioning the river, but revealing it by the glitter of the gravel bed he had produced a magical effect that made the haiku not just fine, but exceptionally so. I see a very shallow part of a wide river with the morning sun easily shining through the clear water to awaken a glitter all over the gravel on the bottom, and at the same time throwing sparkles across the surface of the river. A beautiful evocation of a shining river. He said he was trying to reach the same kind of goals in haiku, that Bashō had sought near the end of his life when he was trying to achieve what he called karumi (lightness). However, I like both of them. The plain one was in the first edition of my anthology. The trout one is in the third. So John Wills was seeking simplicity and plainness fairly early in his haiku life. I mentioned “two minds” about this question at the beginning of my answer. My other mind thinks it may be possible that haiku can do other things, and still present haiku moments. All the other things that poetry in general does: that is to use figurative speech, literary (and other) allusions, musical effects, and all the things that words can do, except go on for more than 3 lines or 20 or so syllables. Now if haiku poets, can do these things and still achieve the kind of sensory presence I have sought in haiku without having the words disappear, then of course I’m prepared to praise them. Those writing in English a so-called gendai-style haiku seem to me to be basically following the Japanese gendai haiku poets, who, in turn, have been imitating free-verse poets of the Western surrealist and dada movements from early in the twentieth century. This appeared in my first chapbook (1961). 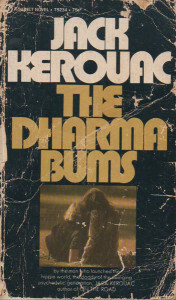 And I included it in the first edition of The Haiku Anthology (1974). I’ve also included haiku with literary allusions and other kinds of poetic practices in the Anthology. (For example, Rod Willmot’s haiku about a “page of Shelley.”) I support various approaches to haiku. Still I favor those with an ontological thrust. Admiration and appreciation of other literary accomplishments present in the poem may come after the initial thrust of the poem, or may even precede it. But beyond those pleasures, at some point there will be that presence where/when the words themselves temporarily disappear. Besides the gendai style of haiku, and those haiku with literary amenities, there is another kind of new haiku that I think often fails to present a haiku moment. It’s not the haiku way I’ve been trying to follow. It has actually been a trend that has had many adherents for some years. That is the juxtaposition of a psychological, emotional, or an intellectual situation or thought with a brief reference to an element in the natural world, as if the combination will create a haiku moment. I don’t think it is that easy. It’s one type of “new” haiku that owes its popularity, not to Richard Gilbert’s theories of juxtapositions, though some of those writers might find verification for working in this vein from Gilbert. As I’ve mentioned elsewhere, I trace this trend back to Adele Kenney’s fairly well-known haiku about a flight of geese combined with the phrase “once there was so much to say.” The poem first appeared, I think, in the 1990s or earlier. 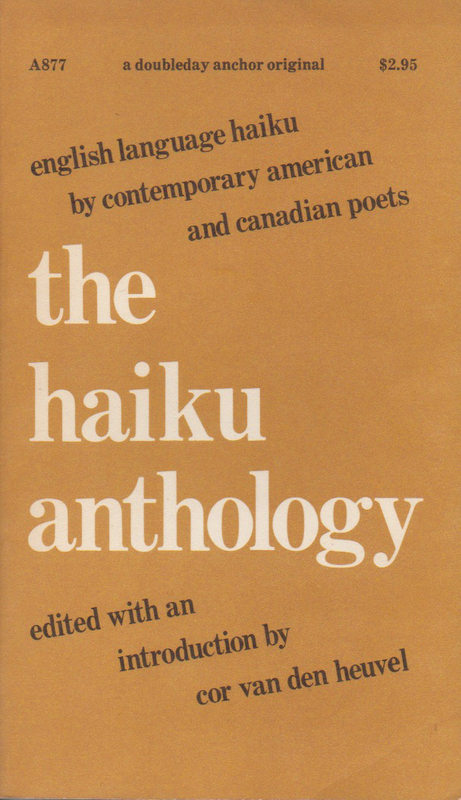 I remember seriously debating with myself as to whether I should include it in the third edition (1999) of The Haiku Anthology. I finally decided not to. Though it’s possible that at the same time there may have been a natural inclination for other poets to go in this direction, I think the gradual move that way actually had her poem as a direct cause. Now, and for some time, the haiku magazines and whole books are full of this kind of “haiku.” Its “success” in finding editors who like it is, I think, helping to encourage more and more poets to write not only that kind of haiku but also poems following most, or all, of Gilbert’s multitude of various kinds of juxtapositions, though most of them have probably never read Gilbert. Just look at the title of the Haiku Foundation’s magazine [Juxtapositions]. JK: At the same time as responding to those influences from Japan (if we may so characterize Watts’ et als. contributions), you evinced an interest in a particularly North American ethos for haiku in English. This inclination is noticeable in each edition of The Haiku Anthology, and grows more pointed with each edition. What were your intentions in taking haiku in this direction? Did the Anthology meet these intentions? What were the consequences of this orientation on the genre, in your mind? How do you consider subsequent anthologies such as Haiku in English: The First Hundred Years, which have taken a decidedly broader view of the genre in English? CvdH: I assume you mean by ethos, the kind of haiku I call for in my answer to what I look for in haiku, basically a sensory presence. Instead of looking for it in Haiku in English, where I expected to see a variety of kinds of haiku and not just the kind I like most, I was hoping to find it in Allen Burns’ Where the River Goes. And in most cases I did. But in a large number of his choices I found the sensory presence sadly missing. As a result I felt no æsthetic unification with existence, no poetic magic of words turning into a reality on the page. Burns seems to think if a poet names a species of bird, insect, or animal it will come alive and present in the poem. I don’t think it works that way. At least it doesn’t for me. The “poem” becomes not a poem, but something like a note in a Bird Guide or other kind of nature guide. It reminds me of my differences with Bill Higginson about naming and describing. I still think just naming in a haiku is not enough, or only very rarely so. The reader needs more to experience a haiku moment. As long as I’ve mentioned Where the River Goes, I missed two of my favorite American haiku about nature in that anthology: Robert Spiess’ snow-covered beaver lodge under a full moon1 and Anita Virgil’s shadows on the pine bark.2 Two classics. “Shadows” is a marvel how it reveals the reflections of sunlight from off the river flickering on the tree without mentioning them, the sun, or the river. JK: One of the consequences of increased interest in haiku in the West has been the greater and more varied availability of translations of haiku from the East. How do translations of modern and contemporary Japanese haiku affect your ideas about language use in haiku? Could you talk about any examples of powerful haiku that might rank in quality with those you argued with Bly about where the words are not “invisible”? CvdH: I find that I’m often disappointed with most contemporary Japanese haiku called gendai. They are often surreal and offer the reader strange juxtapositions that don’t, for this reader, work together to produce any æsthetic experience, nothing that I would call a haiku moment. A few of Kaneko Tohta’s poems manage to hold my interest. His sharks in the garden darting around in the mind and some others. I don’t care much for such pieces as his turning into a motorcycle; it tries too hard to surprise. Well, it does that, but that is not the kind of surprise I want from haiku. Ban’ya Natsuishi departs even more from my idea of haiku, especially with his Pope series. His haiku about the parting waterfall leading into the future intrigues, but . . . . Since Santōka and Hōsai, there are a number of Japanese haiku poets I like. I’ve found them among those who pretty much stick to the real world. Most of them have broken from the Kyoshi school of only birds, flowers, and other traditional nature images to present the broader universe that we actually live in. Still, their works reveal a palpable presence to the reader’s imagination. finally home . . . The ticking of the car engine as it cools suggests the ticking of a clock. So the passage of time is foregrounded as the poet steps out of the car and looks up at the starry sky and perhaps considers how long it takes for the lights of the stars to reach us. The security and warmth of home is contrasted with the immensity of the universe and its cold indifference to our concerns. Somehow the ticking emphasizes the distance and the space stretching up above the poet/reader’s house and driveway and helps him, as he steps out of the car after a long trip, to take pleasure in the sense of at last being home, and to have the beauty of the heavens soaring above him. And in the end he feels, too, a kind of relationship with those distant stars. It’s the ticking of the engine “to” the stars that makes the connection. The tigers leaping through the earrings is like a day at the circus with a beautiful woman. Not only do the tigers leap, at the same time the hoops are swinging on some lovely earlobes, but after the show is over, we wonder how the magician/poet was able to accomplish the feat. And that is when we find the words no longer invisible. We might notice that a lesser poet might have used the whole common phrase “bring to mind,” but that would have brought the tigers to a dead stop and dropped them to the ground. It’s better to have “bring” unstated, it can exist as a faint after-echo in the mind rhyming with “rings” and “ping”. In the same vein, having “leaping tigers” instead of “tigers leaping” would have also slowed or stopped the movement of the tigers. As it is, the tigers flow right through the hoops into the mind. A perfect little circus act and yet so much more. I have to admit there have been many fine and even great haiku that earned my admiration where the words have not been invisible, but rather whose choice of them by the poet has been a part of the reason for my liking the poem. The primary reason, though, will still be the sensory presence the poem has given me. Are the “invisible words haiku” better than those whose words are visible? There’s room for both in my book. And you’ll find many examples of both in The Haiku Anthology. Still, for me, and my own work, I try for the wordless poem — though if the other kind comes to me, I’ll not turn it away. JK: You just mentioned Santōka and Hōsai — who are your favorite modern and contemporary Japanese haiku poets? Do you feel their work has affected your personal work? The work of other contemporary poets working in English-language haiku? What are the consequences of this influence? CvdH: Let’s start there: the unusual poet/monks Hōsai (Ozaki Hōsai 1885 – 1926) and Santōka (Taneda Santōka 1882 – 1940). Their diary-like haiku work best in series — they have a cumulative effect. Some of their individual haiku rise to a level that I would call outstanding. I remember when I first saw substantial collections of their work (in English translation, my Japanese would hardly fill a thimble) that I was very much in love with it. My only collections of their work that I owned were part of the library I donated to the Foundation a while ago so I can’t reread them right now. But as I think back some bright moments swim into view like Santōka’s going deeper and deeper into the mountains and Hōsai’s piece about what might be in a drawer in his desk that he’s not opened for a while. You can learn how much their writings actually meant to me, how they glowed with a magical radiance, by reading the short forewords I wrote for Hiroaki Sato’s translations of their selected works, two books full of word-delights. 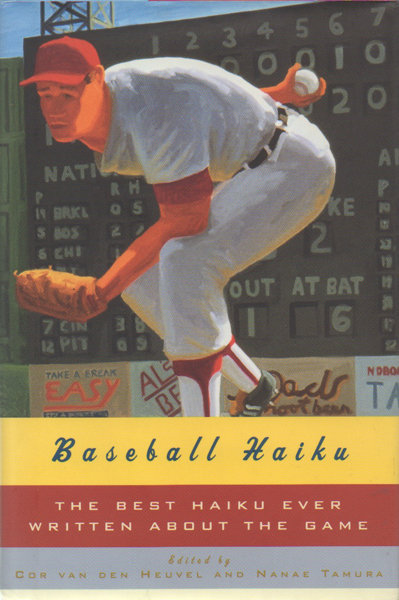 The two baseball haiku that I’ve quoted are from Baseball Haiku (translations by Nanae Tamura and myself). However, I can’t say that there have been any Japanese haiku poets that have influenced me to any degree since Shiki (Masaoka Shiki 1867 – 1902). He was the last one that I can honestly say had a direct effect on the way I write haiku. His disciples, Kyoshi (Takahama Kyoshi 1874 – 1959) and Hekigotō (Kawahigashi Hekigotō 1873 – 1937), both interested me for the different approaches they took in following the haiku way: Kyoshi taking the traditional route and Hekigotō breaking rules and writing in a free style. I should say that Hekigotō helped confirm me in my belief that we in the West did not have to try to conform to the formal rules of Japanese haiku. On one of my trips to Matsuyama I hiked around the area at the edge of the city where I understood his gravesite was located. With a small Japanese/English dictionary in hand I inquired of people with the question in Japanese, “Where is Hekigotō’s grave?” When I found it and had paid my respects, I asked one of the caretakers at the cemetery to use my camera to take a picture of me standing beside the vertical tombstone. The photo is in a scrapbook in my archives (at the Foundation). Besides the influence of his exceptional haiku, Shiki’s critical work has supported me in my belief in the importance of description in the writing of haiku. I take his advocacy of sketching in haiku to be a direct call for description, for how else do you sketch with words, but by using them to describe something. A list of the English-language haiku poets that have influenced me the most would have to include a lot of names. Some of those who would top the list are: John Wills, Alan Pizzarelli, Anita Virgil, Gary Hotham, Michael McClintock, Robert Spiess, Martin Shea, and Jack Kerouac. 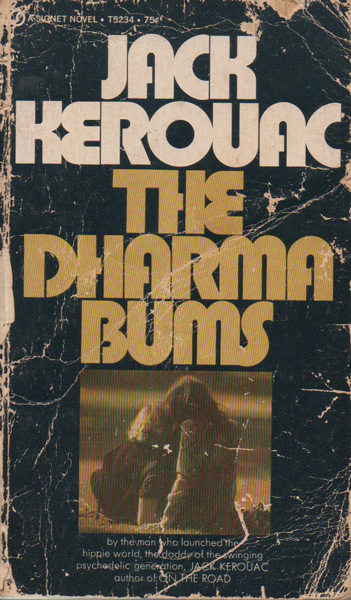 Kerouac for his prose as much as his haiku. That passage in The Dharma Bums mentioned earlier where he has Japhy Ryder talk about haiku being as simple as porridge and then has him quote Shiki’s haiku about the sparrow trailing rain drops (suggested, not stated) across the porch, has been a talisman since I first read it years ago, a talisman telling me to keep haiku simple. Some of the simple descriptions in his prose are shining examples of how arrangements of words can become exceptional poetry without being put into poetic shapes on the page, without being versified. In his novels and short prose pieces like “Home for Christmas” (“It’s a Sunday afternoon in New England just three days before Christmas . . . ”) and “The Railroad Earth” (“There was a little alley in San Francisco at Third and Townsend in redbrick of drowsy lazy afternoons . . . ”), he has descriptions that can coalesce into haiku moments, images that shine vividly on the page like simple, natural haiku. This may be a good place for me to pay homage to some of the other prose writers who have influenced the way I write and whose work I love. They have all written descriptive passages in their work that have the power to let me create an ontological presence, to give me moments “of keen perception.” These passages can almost have the same magical effect as a haiku. They are: Thoreau; Jack London; Thomas Wolfe; James Joyce’s Dubliners; Hemingway (John Wills shared my enthusiasm for Hemingway, especially his short stories, and particularly “Big Two-Hearted River”); Nabokov’s Speak, Memory; Sigurd Olson; Raymond Chandler; Ross Macdonald; and Alain Robbe-Grillet (in translation). While I’m at it, here are my favorite non-haiku poets: James Thomson’s The Seasons; William Wordsworth’s “An Evening Walk”; John Keats, Emily Dickinson; Gerard Manley Hopkins; Robert Frost; Elizabeth Bishop; William Carlos Williams; Francis Ponge (in translation); and Charles Simic. JK: In Tundra 2 (2001) you reviewed three books: Bill Higginson’s Haiku World, and The Haiku Seasons, and Clark Strand’s Seeds from a Birch Tree. At the end you said: “This emphasis on the importance of group activity and his [Higginson’s] belief that the spread of haiku will encourage global unity and result in a better understanding of the environment, commendable as these things may be, could, if not balanced with other considerations, support a view of haiku detrimental to its development in English. . . . That is, to see haiku as a kind of writing useful to society or for an individual’s spiritual well-being, but one that has little or nothing to do with the creation of poems of literary merit.” The question, then, is: What makes a haiku of literary merit? How does creating “poems of literary merit” intersect with what you call the “haiku way”? 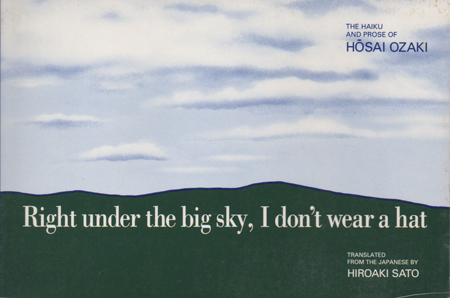 Do you think English-language haiku has gained or lost literary merit since you wrote this? CvdH: In general haiku have literary merit if they fulfill the criteria spelled out in my definition given earlier and which do so with originality and panache. And if they are, as Pound said, the best words in the best order. I believe with Hiroaki Sato that there can be many different kinds of haiku, just as there can be lots of different kinds of sonnets or limericks, etc. But to have literary merit, they must rise to the height of doing what words are not ordinarily expected to do in our daily lives, but rather soar into the realm of magic and become a kind of reality that has the radiance found in the discovery of new worlds, as Keats proclaimed in “On Looking Into Chapman’s Homer” and actually demonstrated with his famous Odes. You rarely do this by calling for peace, or asking people to protect the environment. Nor by just juxtaposing two disparate things. JK: In your 2010 experiment in memoir, A Boy’s Seasons, you explore haibun as a strategy to achieve effects of reminiscence. The result, it seems to me, is episodic rather than fluid, and cumulative rather than discrete. How do you judge the success of your method? Were you surprised by the merits and difficulties of discontinuity, or was this effect your intention all along? If you were to attempt such a volume again, would you repeat this approach? If not, what else might you try? CvdH: I wouldn’t attempt another such volume again. 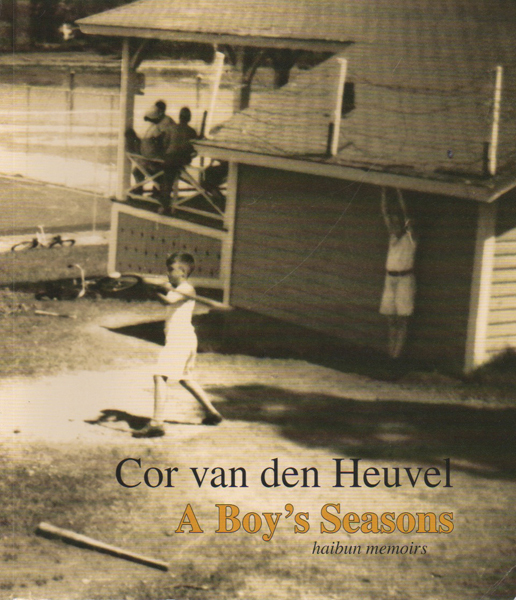 Based on the seasons and certain national holidays, plus the subject of my paper route for a change-of-pace haiku sequence, and the three haibun on the subject of boyhood fights, it had to be episodic. I’m actually quite pleased with how the book turned out and with the nice job Single Island Press did in designing and publishing it. Nick Avis’ glowing review was very gratifying as well. However I have no desire to do another book-length haibun. Mostly because I am a very slow writer and I’m sure I don’t have enough time left to do one that would please me. I do have enough published and unpublished individual haibun in my files, however, to fill a book. A few quite long. JK: As you consider the diversity of practices now — for example the range of what was included in the recent anthology, Haiku 21 — do all of these paths still follow the “way” you have advocated? If not, could you talk about which paths seem to you to have moved beyond its scope and why? Do you see these as successful strategies in both short and long terms? How do you judge the overall “health” of haiku in English today, and are you optimistic for its future? CvdH: Haiku 21 is not one of my favorite books. But then I must admit I have not examined it all that closely. When the editors were putting together the book, they asked me to send them 20 of my haiku published since 2000 for possible inclusion. I did and they selected one poem for the anthology. I declined to have it in the book. Obviously the editors were going along a different path than I was. 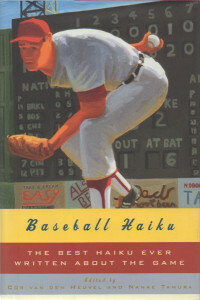 One of the editors has a large selection of his haiku and senryu in the third edition of The Haiku Anthology. So apparently he was once on the same or similar path of haiku that I was. Of his haiku that I have seen published in the haiku magazines in recent years, which comes to a fair number, I don’t think I’ve seen a single one that I’d choose to include in a fourth edition. His path has taken him to a kind of poetry that I no longer recognize as haiku. If it is a kind of haiku, so far it has not interested me. Of course, time moves on, and so do tastes in art and literature. I hope that as these new approaches to haiku and the various haikai genres come into favor, as they seem to be doing already, that there will continue to be a cadre of followers in the line of Bashō, Buson, and Shiki; and of Wills, Spiess, and Virgil, of Pizzarelli, Mountain, and McClintock, and of Virgilio, Rotella, & Hotham. That the haiku spirit I know and love will live on. Noting the history of haiku over the centuries, the ups and downs of Japanese haiku, I have to be optimistic that even though there may come times when the genre may seem to have withered and died, or become stale and hackneyed, or has just gone down a noisy dead-end, there will eventually come a poet like Shiki who will usher in a new period of flowering. JK: Finally, please choose one (or so) of your haiku from each of your past 6 decades of practice that you feel particularly please you, or have met their goals, or realized an influence in the practice of the genre, or some combination of these things. And if you please, comment on them as you would like. CvdH: Before I try to choose some favorites, I’ve just realized I’ve not said anything about the influence of the movies and painting on my work. I believe they have been very important, so I’d like to say a few words about them. First, the artists. Others have commented on the influence of Edward Hopper’s paintings on my work and I would guess of all the painters who have affected my writings, he has been paramount. His moods and subject matter, the loneliness he conveys, from an usherette in a theater to a woman in a hotel room, and the usual environments of average American lives that he depicts, from houses on lonely highways to gas stations and barber shops, are from the same world as my haiku, the things that I have tried to capture in words. Very close to Hopper, I would next choose Winslow Homer as being a very large influence, especially for his scenes of nature, forests and the rockbound coast of Maine; and for his recreation of boyhood activities, showing them out in a boat, dreaming in a meadow, or playing in a playground. Asher Durand for his rocks looming out of the autumn woods. Charles Warren Eaton for his winter sunsets dimly lighting up his towering pine trees. Vincent van Gogh, Hiroshige, Joseph Cornell, and many others. And finally, the movies. The films of Michelangelo Antonioni were very important to me in the 70s and 80s, maybe even earlier. L’Eclisse, La Notte. The empty spaces, the nothingness of nothing happening, the strange landscapes drifting timelessly. The silences. I discovered Morandi’s painting in an Antonioni movie, I think it was in La Notte. There was one of his paintings of bottles hanging on a wall in someone’s apartment or office. Then there were the movies of Yasujiro Ozu. More emptiness, but now a warm, inviting emptiness, not the cool, distant spaces of Antonioni, but an intimate inviting space to dream in, small as a five-stool noodle bar, or as big as a baseball stadium. So many different kinds of movies: the silent films of Chaplin, the westerns of John Ford, the Busby Berkeley musicals with their rows of beautiful girls kicking up their legs in unison, the lights and shadows of film noir, and, when I was a boy, the Saturday matinees of the cowboy heroes of the silver screen in their wide-brimmed ten-gallon hats mounted on fabulous horses almost as famous as their riders. . . .
That’s from the Maine coast. A shell left by the receding tide on the wet sand of a beach. And four from even later . . . Thanks for letting me retrace my haiku path. I found some things along the way I’d forgotten about.